Are you looking for a delicious chicken recipe with a difference? If you are, you’ve found it! 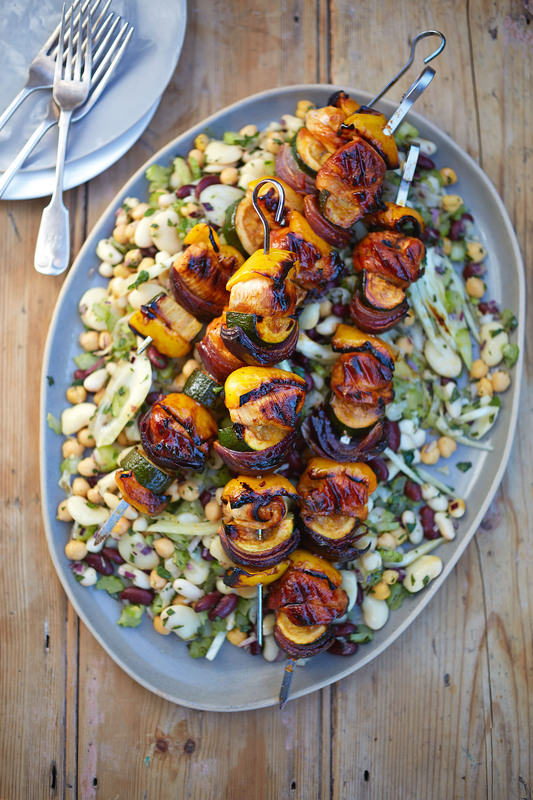 Here’s my chicken skewers with beans & chickpea salad for you to enjoy. Feast your eyes on the finest chicken skewers with beans & chickpea salad! It’s straightforward and fun to make this great dish. Simply follow the instructions below and get the perfect result. To make the glaze, combine the marmalade, oil and paprika in a small bowl and season with salt. Set aside. Break up the onion layers a little and loosely roll up the chicken strips. Light the barbecue. Thread 4 skewers (metal or wooden skewers pre-soaked in water for at least 30 minutes), about 35cm long. Start with a piece of yellow pepper or onion, then the courgette, yellow pepper, onion and chicken, alternating the ingredients. Finish with yellow pepper or onion. Brush with the glaze and sprinkle with salt. When the barbecue is ready (the coals will be covered in a fine greyish-white ash), place the skewers on the barbecue and grill for about 12 minutes, turning regularly, or until the meat is cooked through. Meanwhile, make the salad. Rinse and drain the chickpeas and beans, rinsing the kidney beans separately. Put them in a large bowl and add the onion, fennel, celery and mint. Add the oil and stir to combine. Season with salt and pepper. Transfer to a large serving platter. Just before the end of the cooking time, brush the kebabs with any remaining glaze. 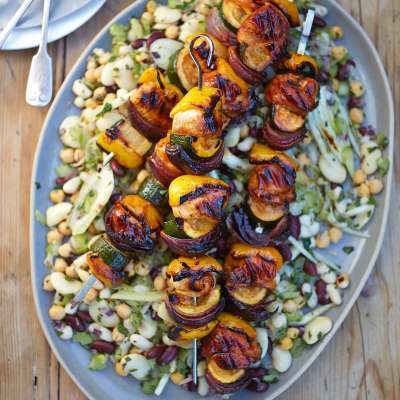 Pile the skewers on top of the bean and chickpea salad and serve. 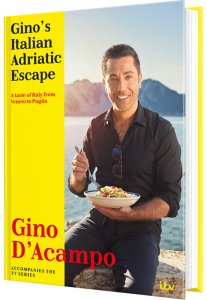 Once you’re done, simply sit back and enjoy your chicken skewers with beans & chickpea salad and don’t forget to check out other great authentic Italian recipes including great antipasti recipes, Italian pasta recipes, Italian soup recipes, Italian beef dishes and authentic pizza recipes.